I know, I know... I wrote a post on "murder" only a few weeks ago. It must be all this shopping for jeans... frustration, failure, more frustration. I can't sit still to read a literary novel and so fall back on my love of mysteries. Murder and mayhem, to use a cliché, more befitting of my mood at the moment. Last week I read an interesting article by Laura Miller on Salon.com. "Why Today's Most exciting Crime Novelists Are Women." You can read the article yourself here. Miller explains that she has become tired of "[picking] up much-praised new crime novels about some tough, tough guy, usually in a car, with a gun. Pretty soon will be more guns, some fistfights, assorted criminals snarling threats of various degrees of scariness and wit." In fact Miller says the genre has become very, very "tired, " except for a few writers who all happen to be women. Hmmmm. To some extent, I agree with her. I was a big fan of the Jo Nesbo novels at first, and yet I could hardly get through his last book. Nesbo has upped the ante so much that his plots have become barely believable... to me, anyway. And Stuart McBride, whose writing style is witty and "atmospheric" (as book blurbs love to say), I had to abandon because...well... some of his plots are so bizarre.... he's lost my interest. Just gore for the sake of gore.... would that be gratuitous gore? And when I'd finished reading Miller's article, I took a look at my own book pile (tower might be a better word... à la leaning tower of Pisa, maybe.) Tana French, Sharon Bolton, Elly Griffiths, Robert Rotenberg, Denise Mina, Ruth Rendell: the pile of books I was currently reading, about to start reading, or had recently finished were almost all by women authors. Of the women crime writers that Miller uses as examples in her article, several were authors I had read. Atkinson's Jackson Brody series set in Edinburgh is among my favourites. I love how each book deals with a separate mystery and, yet, throughout the series, she pieces together the story of Brody's life without descending into what Miller calls the "soap-opera-fication that affects the detectives in long-standing series." Of course Atkinson is well known for her non-mystery novels. Behind the Scenes at the Museum is a wonderful book. And I haven't read it yet...yet.... but I hear that Life After Life is fabulous. All of her books play with plot organization and point of view brilliantly. Another author that Miller's article praises is Tana French. I've read all of French's books. I love books about Ireland. I've written posts about them here and here. French's novels focus on the Dublin Murder Squad; each has a different main character. I'm currently reading French's new novel The Secret Place and loving it; she totally nails teenage angst. But my favourite of her novels so far is Faithful Place, which deals with a decades old murder in the working class "Liberties" neighbourhood of Dublin, the teenage past of the main character, and his tangle of family relationships past and present. As Miller says...these women writers don't write about "the sleazy nightclubs, back alleys, diners and shabby offices of the archetypal PI novel, but a far more intimate and treacherous terrain: family, marriage, friendship." 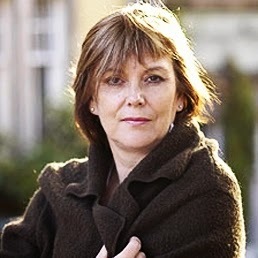 I'd add several women crime novelists to Laura Miller's list. Like Sharon Bolton. Her Lacey Flint books are great. And Lacey is no shrinking violet, that's for sure. And Denise Mina. 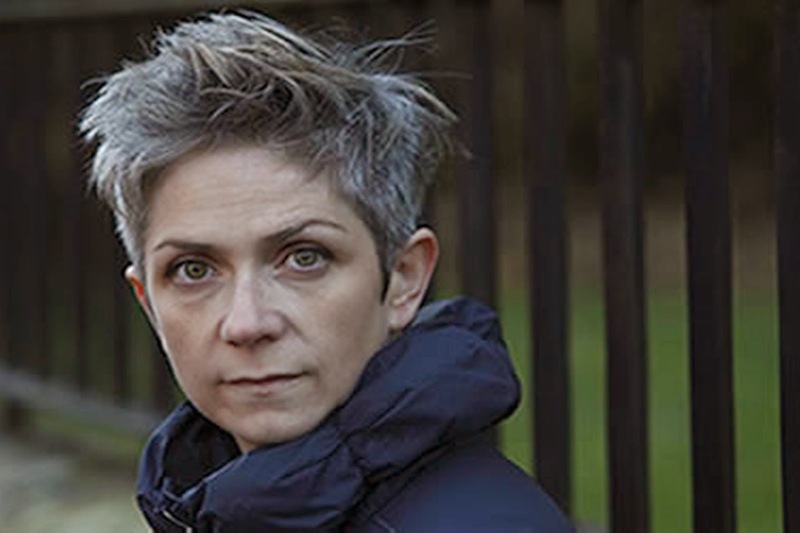 Mina's books are set in Glasgow, and her gritty and totally gripping books have been dubbed "Tartan Noir." I particularly love her Paddy Meehan series. Paddy, a fledgling investigative reporter, grapples, not only with murder and mysteries, but also with the complicated political and family loyalties of Irish Catholics living in Protestant Scotland. 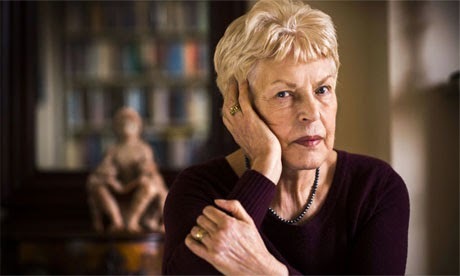 And let's not forget longtime favourite author Ruth Rendell. I think I've read most of Rendell's books over the years. 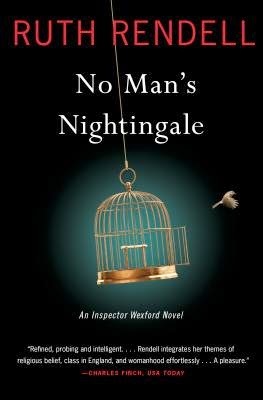 And I'm currently listening to her latest Wexford book, No Man's Nightingale, on my i-pod. Wexford is now retired and still "consulting" and advising former colleague, and friend, Burden., while trying to adjust to life without work. I loved the scene where Wexford muses on having lost "authority" as he puts it, no longer able to use his status as a police detective to compel witnesses to talk to him. He is just a member of the public now. I laughed at that... thinking of how every time I see a raucous bunch of teenagers I long to wade into the fray and reestablish order. Old teacher habits die as hard as old cop habits, I guess. And speaking of old...er, I mean... former teachers...and former teacher's former students. I originally heard about the Salon article on Twitter where I "follow" a former student, Sarah Weinman. Now she's a crime writer, reviewer, and editor in New York. As well as an acknowledged "expert on crime fiction." Way to go Sarah! Sarah's book Troubled Daughters, Twisted Wives is an anthology of the writers from the 1940's-1970's who paved the way for the likes of Denise Mina and Tana French. You can find her book on Amazon or follow her on Twitter at @sarahw. There are so many more wonderful female writers who write about murder. Like P.D. 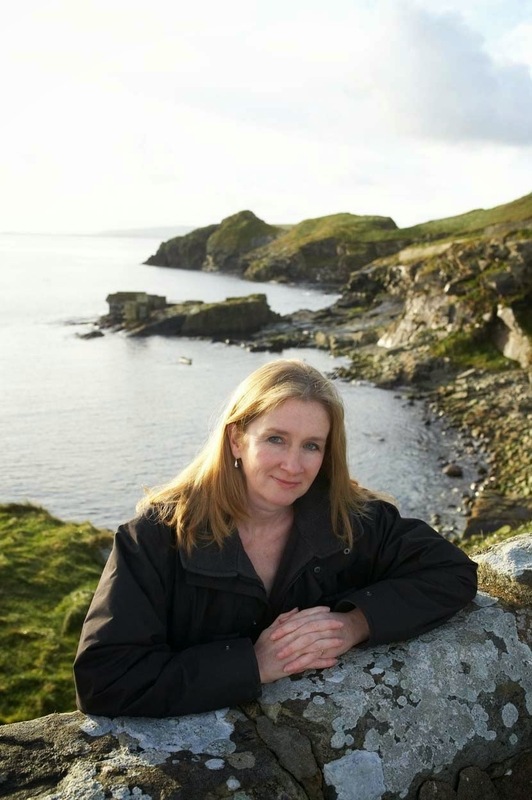 James (well, d'uh, of course), Elly Griffiths (whose detective is not a detective but an archaeologist), Ann Cleeves (who I've written about before on this blog) ...and I could go on but I won't. I've got packing to do. 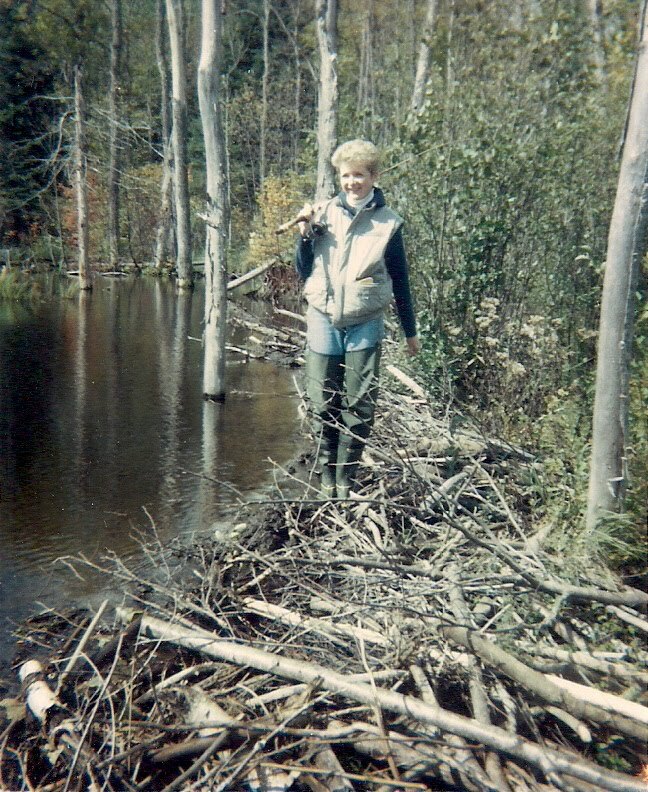 I'm heading home to the east coast tomorrow for my 40th high school reunion. Yikes! So...I have outfits to plan. You know....the big reunion stressor. What to wear that looks chic, but not too edgy, youngish, but not "mutton dressed as lamb" young, dressed up enough to give me confidence, but still casual enough to be comfortable? Thanks to readers who have recommended books in their comments. I'm currently reading my second Robert Rotenberg (yes, I know he's not female, but his books are still great) and I have a Stephanie Barron to pack in my carry-on. Have you read any good murder mysteries lately ... that a "she" has written? Do tell. Love Tana French. Will have to try some of your other suggestions, thanks. Hi... Just discovered your website a few weeks ago and enjoying reading. I am on the other side of Canada in Vancouver. Well to answer your question - Canadian author Louise Penny who writes the Chief Inspector Gamache series is one of my favourites. Fun quick reads are the M.C. Beaton books...she has two series - Agatha Raisin and Hamish MacBeth. Louise Penny is a great favourite in my book club. But I'm not entirely sold on her. Have read MC Beaton...but I really love listening to her books on my i-pod. So much fun to listen to the adventures of Agatha Raisin while pedaling my exercise bike! Thanks for reading. Louise Penny is my new favorite. Her books come out on Audible almost like clockwork on or near my birthday, and I treat myself to them immediately! I really appreciate this post because I'm looking for new mystery authors/series. Ruth Rendell is my very favorite. Right now I'm reading my first Louise Penny and not sure how I feel about it yet. Thanks for writing about your favorites! I concur on both opinions....Rendell and Penny....love and not sure. I do not need to buy another book. I really really don't. But that doesn't mean I won't. I used to read a lot of mystery novels, and began with Agaatha Christie when I was twelve. I went on to love Ngaio Marsh and PD James but then I stopped reading mysteries and have little familiarity with any modern writers other than the novels of Peter Robinson (obviously not a woman). Now I am quite intrigued so thanks for this post. I really e njoyed it. Also, can't wait to see your reunion outfits. I also love Christie and all the other "oldies"...but there's some great new stuff too. Oh...I love Minette Walters too. Shame she's not writing much mystery these days. 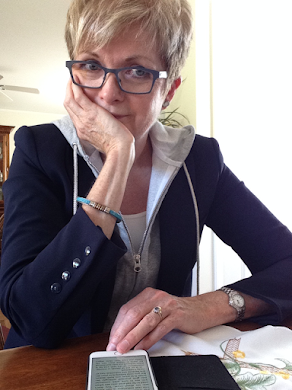 I'm with you on Patricia Cornwell...and the need for editors. Recently found your enjoyable blog through Amid Privilege. I quite like the Gemma James/Duncan Kincaid series written by Deborah Crombie. Elizabeth George is an old favorite--really her first six books--then her writing, although excellent, became too gruesome and the continuing characters too soap opera-ish. So many good writers and books out there! Yep...to Crombie. Really like her books...but disappointed in Eliz George these days. Soap opera is right. The Deborah and Simon St James saga is (or should be ) so over . Thanks for the suggestions! I love Elizabeth George myself. Although I agree that her recent books aren't as strong as her earlier ones. LOL When I read your title I thought this was based on that tv show my Nana made watch me watch with her as a child. But I love all your suggestion! Will have try out some new writers. Yep, my title is a pun on Murder She Wrote with Angela Landsbury...from back in the 80's. Thanks for stopping by. Looks like I need to add a few books to my reading list. Hugs Thank you for sharing and for linking up to the Thursday Favorite Things Blog Hop. love atkinson and denise mina; will try tana french. here are 4 female detective authors i really have enjoyed over the years as well: dona leon (mentioned in another post) has wonderful mysteries set in venice, which is very much a character in the stories. i have enjoyed j.k. rowling's 2 recent mysteries. i read the first one before i knew who "robert galbraith" is and hoped it would become a series. i have been thru almost the whole alphabet with sue grafton (A IS FOR ALIBI, etc.). her kinsey milhone is a p.i. in southern california in the 1980's. it is fun to see her solve mysteries without modern aids such as computers or cell phones. and j.j. jance has not one but 3 series about 3 different detectives, 1 male and the other 2 female, set in 3 different cities in the u.s. I really must try Donna Leon. I like the Kinsey Milhone series too. As for reunion details...more on that next week. Looking forward to connecting with old friends. I have recently discovered your website and am thoroughly enjoying your writing on a variety of topics. Having been retired a few years you certainly clarified my jumbled thoughts on remaining age-appropriate but fashionably dressed. As to finding well fitting jeans I think I could almost write a book about the trials and tribulations. Thanks for all the lovely book suggestions. This past summer I have returned to the detective novel and my suggestion to you is Tarquin Hall. His detective stories are set in modern day India, are well written, have a political edge, quirky and delightful. Thanks so much for your kind words, Christy. Much appreciated. And I will definitely check out Tarquin Hall....well written AND quirky. Sounds right up my street! Enjoyed the post! Thanks for sharing with the Thursday Blog hop! Have you read the Nevada Barr series of mysteries set in national parks? I think she's very good and her park service investigator is very human.